Rev. Kurt Reinhardt and Deacon Jennifer Shack. 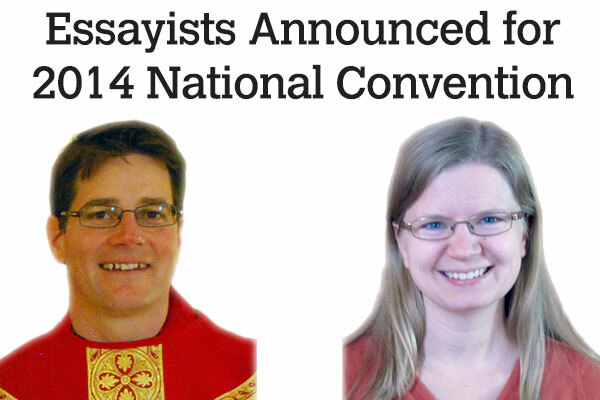 VANCOUVER – Lutheran Church–Canada (LCC) has announced the names of the essayists for 2014’s national convention in Vancouver. Rev. Kurt Reinhardt (Trinity Evangelical Lutheran in Kurtzville, Ontario) and Deacon Jennifer Shack (Concordia University College of Alberta – CUCA) will present on the topics of prayer and the diaconate respectively. For more information on the essayists and their topics, download this pdf here.